Residential cloth awnings add beauty to your home while helping to keep doorways, windows, and walkways covered from the elements. The variety of colors makes selecting the perfect complementary color easy. 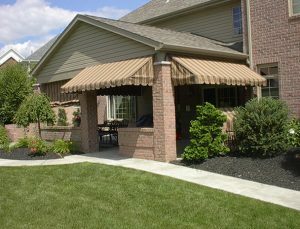 Awnings add value to any home by increasing the beauty of the dwelling. Residential cloth awnings are a great way to extend the roof line of a home without the high cost of altering the roof itself. Adding an awning can provide coverage from the elements and beautifies your home. 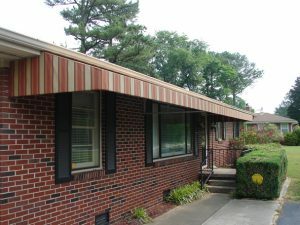 Awnings turn an otherwise standard area of a home into something noticeable. 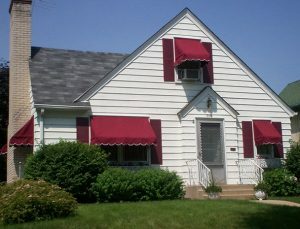 These dual awnings bring out the corner of this home, making it stand out! 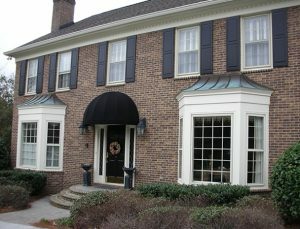 Fabric awnings give a flare to a simple doorway and can use the same accent color as shutters, doors, and even roofing. Sometimes colors are chosen for the awning that do not appear anywhere else on the home. Maybe the color is chosen because it is found in nearby flower beds or lawn ornaments. 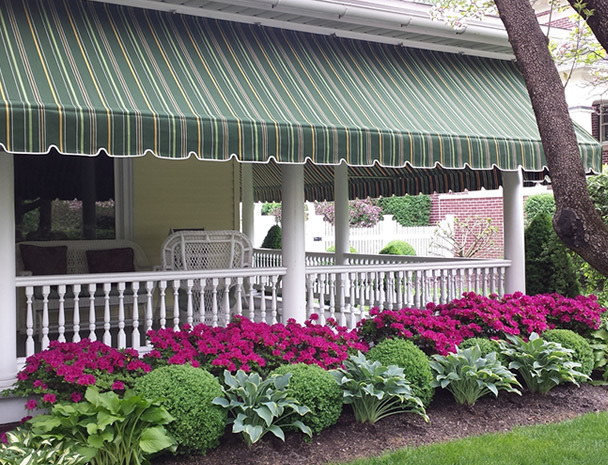 Regardless of the reason, residential awnings add beauty and increased value to any home.